Dunkin' Donuts' top executive says a $15 minimum wage for fast food workers is "absolutely outrageous." On Thursday, New York state's wage board recommended fast food workers make at least $15 per hour. The board said it should happen by the end of 2018 in New York City. 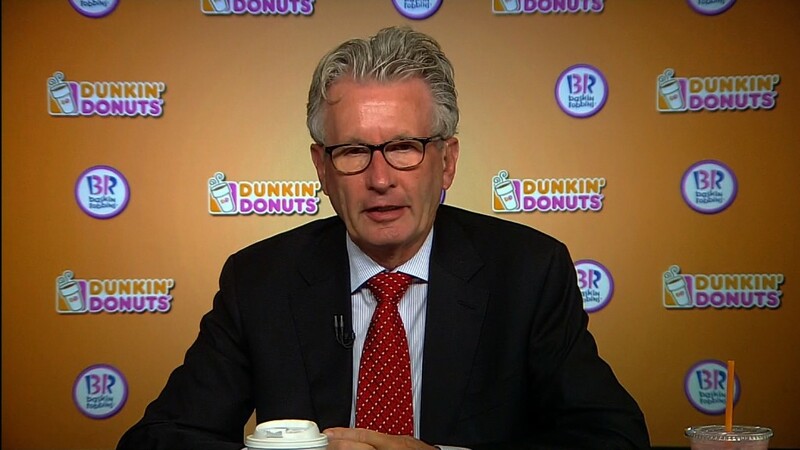 Dunkin' Brand (DNKN) CEO Nigel Travis says the plan will do more harm than good. Travis said he supports governments making "reasonable increases" to the minimum wage, but a hike to $15 per hour represents a 71% increase over the current state minimum. "It's going to affect small businesses and franchises," Travis said in an interview with CNN's Poppy Harlow. He said it would prevent his multi-billion dollar company from hiring new people. "I don't want to sound threatening about that," he added, saying it probably wouldn't force Dunkin' to lay off workers. Travis argued that fast food companies are a starting point in the job market, and he said most of the Dunkin' employees on minimum wage are teenagers that are expected to move on to higher-paying jobs. He said he does support a "living wage," or the concept that pay should be tied to an employee's cost of living. Fast food workers making about $12 per hour sounds more reasonable to Travis. He said that would be the living wage for a worker with family at home. MIT's Living Wage Calculator, however, indicates New York state's living wage is currently $12.75 for a single adult. For a household with two working parents and two kids, it estimates each worker would need to make $18.30 an hour. The current minimum wage in New York State is $8.75 and hour. Travis said the decision to raise wages in New York is premature. "A debate needs to take place about how to tackle income inequality," he said. New York's wage increase still needs approval from the state labor commissioner.